The equipment used in our systems will reduce power consumption in times of economic crises and enhance the environment by producing much needed oxygen levels. We don t just build aquariums we provide the full service. Design, Construction, Installation. We provide service and back up on all complete systems. 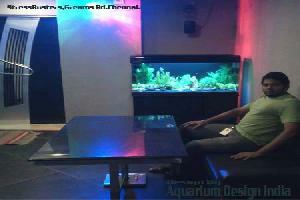 We provide systems suitable for the total beginner to large custom built aquariums for the office/hotel/restaurant. All our systems are designed for low maintenance. Overall, you should try coming as close as you can to their natural environment in the wild. This includes adjusting the temperature/environment, biological, and water quality in your saltwater aquarium setup. Your saltwater aquarium setup will begin before you actually bring your fish to their new home. You will need to condition the environment accordingly first.